Below you can read the book review of Hooked: How to Build Habit-Forming Products (author Nir Eyal, published in 2014) that I wrote for publication for the 13th issue of Neuromarketing Theory & Practice Magazine (published by Neuromarketing Science & Business Association in August 2015). The technologies we use have turned into compulsions and impulses felt throughout the day to check a message notification on our favorite social platform without a conscious thought on this urge. Research even suggests that people check their phones 34 times per day, so our actions have been engineered by product developers. 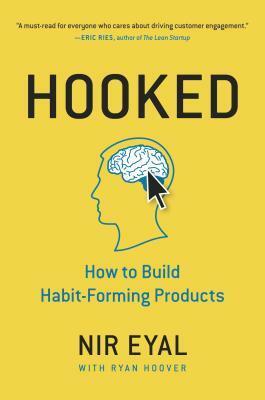 Nir Eyal and Ryan Hoover call these series of experiences “hooks” and explain how these can profoundly change user behavior and form habits in their latest book “Hooked: How to Build Habit-Forming Products”, published in 2014. (4) Investment (implies an action that improves the service for the next go-around and occurs when the user puts something into the product of service such as time, data, effort, social capital or money). Habit-forming products often start as nice-to-haves (vitamins) but once the habit is formed, they become must-haves (painkillers). 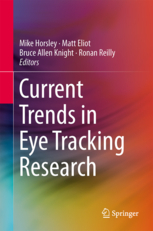 Each chapter of the book includes at the end a section of takeaways that reinforce the main ideas presented previously. Moreover, the authors also offer a “Do This Now” section that guide the steps of the readers in building a habit-forming product by themselves and instigate them to act or to better understand consumer behavior by meditating or brainstorming on different aspects presented in the book. The authors use examples from real life or advertising campaigns in order to explain each step of the Hook Model and they even provide a few fundamentals of how the mind works. Also, some constructs that are well-known to us, the neuromarketing books and articles readers, as the effects of scarcity, framing, anchoring, endowed progress or reward, which are also presented in Hooked: How to Build Habit-Forming Products. Every behavior is driven by one of the following core motivators: seeking pleasure or avoiding pain, seeking hope and avoiding fear, seeking social acceptance while avoiding social rejection. As social behavior is a hot topic for research nowadays with the evolution of the social platforms, the cases presented include analysis on the triggers used by Twitter, Pinterest, Facebook, Snapchat, Stack Overflow, Codecademy, video games, movies, sports or even the Bible App to form habits. I especially enjoyed reading about how the authors unpacked the triggers used by Instagram in order to form strong associations: what was once a brief distraction became an intraday routine for many users. Also the Bible app provides an example of how a far less engaging product can make use of triggers (annotations, bookmarks, highlights), action instigation (by adding an audio version) and variable rewards (separating the verses into small chunks, users not knowing what the next verse will be). As a takeaway, we learn that by identifying where your technology is lacking, you can focus on developing improvements to your product where it matters most. Nir Eyal and Ryan Hoover also discuss a sensible subject as the morality of influencing user behavior and at the end they propose how to use the model in order to enhance our product’s habit-forming potential. Hooks connect the user’s problem with a company’s solution frequently enough to form a habit and the Hook Model explains the rationale behind the design of many successful habit-forming products and services we use daily and can become a practical tool for entrepreneurs and innovators who aim to use habits. Anyone interested to develop products that engage the users can use the actionable insights shared by the authors in order to increase the odds of success and gain a significant competitive advantage. The book not only includes many practical insights for driving customer engagement, but it actually coaches the reader on applying them on any product or project, taking the theory to direct application and guiding him in designing habits to benefit the users.